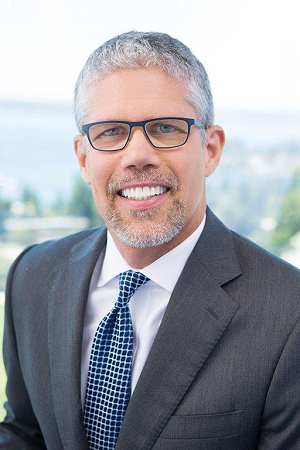 Andy Campbell began his career as a financial advisor in 1987 with Murphey Favre in Seattle, and joined Ragen MacKenzie in 1997. In 2011, he was instrumental in launching RMG Asset Management, LLC as a founding Principal and Director. Andy and the entire RMG Asset Management group moved to Stifel in 2013. With more than 30 years of experience as a financial advisor in the Northwest, Andy works with his clients to assess their financial goals, investment objectives, time horizon, risk tolerance, and tax status to develop individual investment portfolios using a disciplined, value-based philosophy. He builds customized strategies for his clients that incorporate stocks, mutual funds, bonds, exchange-traded funds (ETFs), and cash equivalents. Andy lives with his wife and daughter on the Eastside. When not rooting for the Colorado State Rams (where his son attends college), he enjoys hiking, skiing, reading, and cooking. Value. We seek to invest in stocks that are currently out of favor with investors, but are considered undervalued by the markets. By being price-conscious and knowledgeable about your holdings, we look to improve your chances for appreciation while still mitigating risk. This distinct focus offers the potential for effective and efficient wealth accumulation in a variety of climates. Research. The research professionals and analysts we work with seek opportunities inherent in change. They rely on objectivity and relationships with corporate leaders to provide insight on the stocks they cover – which is designed to result in smarter investment decisions. You. Our goal is to design a portfolio that addresses your individual circumstances, time horizon, tax implications, and risk tolerance. And as your priorities change, we can make adjustments to your portfolio accordingly. Stifel does not provide tax or legal advice. You should consult with your tax or legal advisors regarding your particular situation.